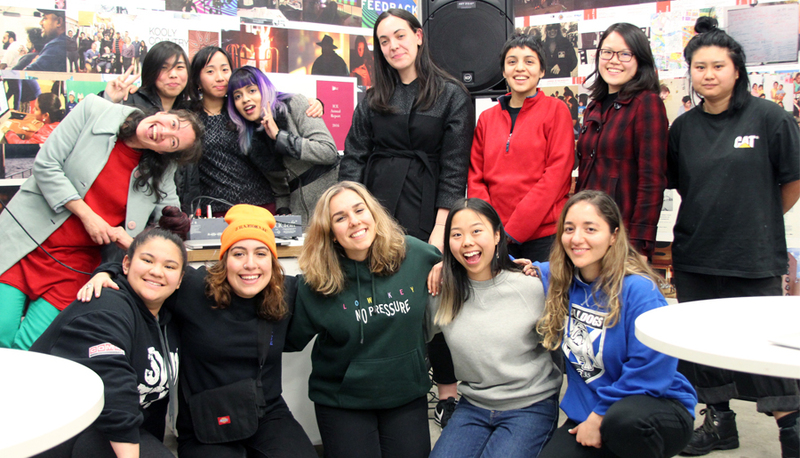 We asked some producers from our last workshops about being part of All Girl Electronic (AGE) and the reasons why you should apply for our next round. Who are you and what kind of music do you make? I am Belinda – an Indian, queer, non-binary girl, an up and coming musician who is in the process of creating my first single and EP. I make grungy, rock music with lyrics that talk either about the political state of society or about personal experiences. How would you describe All Girl Electronic? AGE is an all inclusive safe space, for anyone who doesn’t identify as a man, for musicians or people who want to learn about music. It enables individuals to create electronic music and to become self-sufficient in their musical journeys. What made you sign up? I signed up for AGE because I wanted a place where I could explore my music vision. My uni already has a recording studio but it never felt like I could be creative there or create the music I wanted to, so I desperately wanted to find a space that was more comfortable for me. What was it like working with the facilitators, mentors, other AGE members? I absolutely loved it because I met people who are weird and creative like me, having such diverse people around me made me want to make my music more unique (especially lyrically). The mentors here all added something as they talked about their experiences and what helped them flourish in the industry, which makes it seem less scary for me as this is the career I want to build. And of course, the facilitators were absolutely wonderful they are so supportive and helpful – I really can’t wait to come back! Why should people apply for the next round of All Girl Electronic? Apply for the next round because there will be more mentors, more things to learn and a great supportive team which makes everyone feel accepted and safe to share their creation and views. Click here to apply for the next round of All Girl Electronic workshops!